German Chancellor Angela Merkel has now confirmed her coalition and is set to be in power in Germany for the next 4 years. She is looking to reinvigorate the EU due to Brexit. As such she has spelled out a highly controversial six-point plan this week which includes a common asylum system across the whole of Europe. This policy would see the veto on Immigration policy held by nation states removed subjecting all 27 states to the will of Germany and the EU. Merkel has said that she wants to continue to build closer ties with Turkey and allow potentially tens of millions of Turks to live and work freely across the EU. Merkel said on this: “I know that the EU-Turkey agreement has many opponents. But I will defend it.” She reaffirmed her commitment to the EU programme that gives Turkey billions in order to process 'refugees' there before allowing them into Europe. 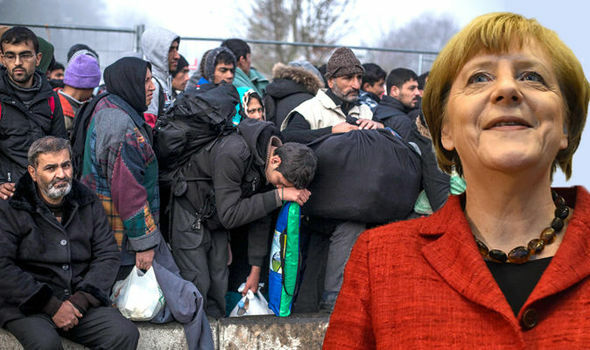 Controversially she has also announced significant funding for programmes to integrate Immigrant families into Germany and this has caused widespread consternation within her own party who feel that these millions could be better spent on other projects. Do you want out of Merkel's Europe now? Read: "Outrage over where our new British Blue Passports are set to be made"
Read: "Mayor Sadiq Khan goes on a spending spree and shows his REAL priorities"